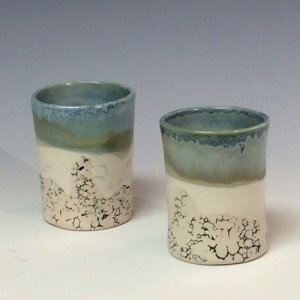 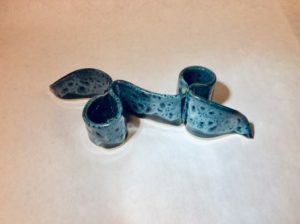 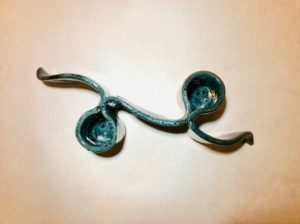 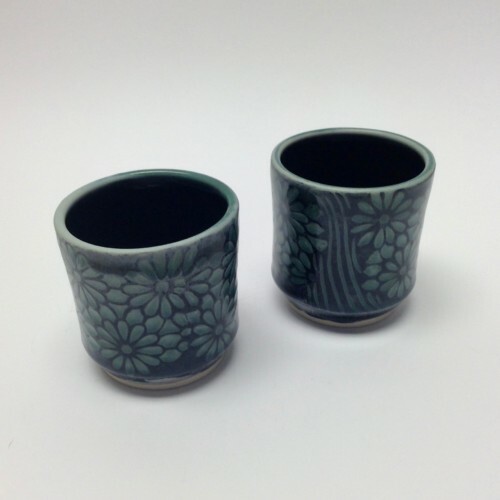 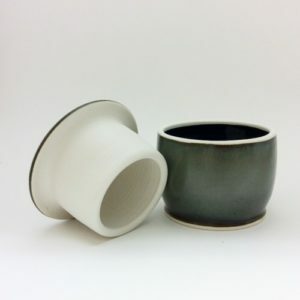 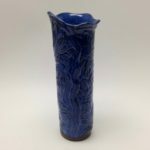 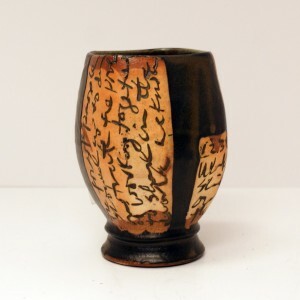 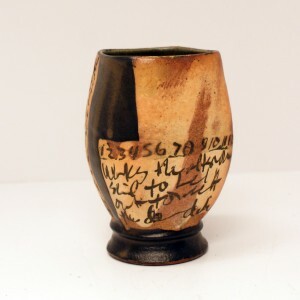 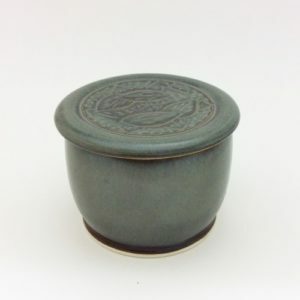 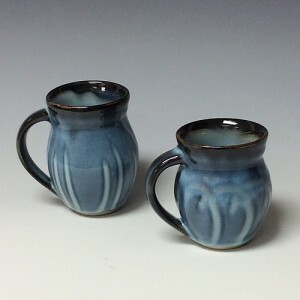 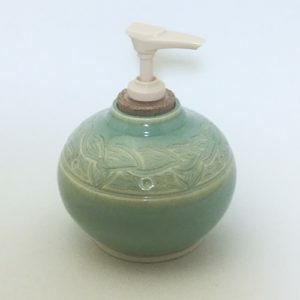 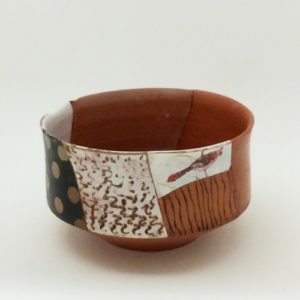 Green glaze ceramic cup, each with a unique floral pattern; 3 1/2″ tall, 2 3/4″ opening; each sold separately. 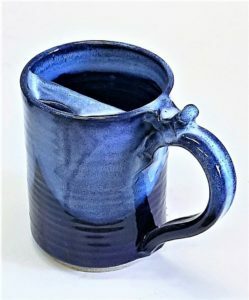 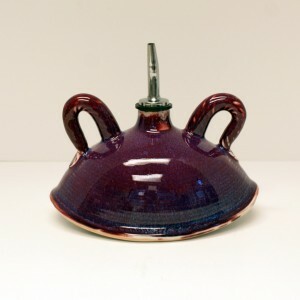 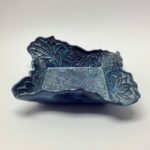 Perfect for wine, water or beverage of your choice! 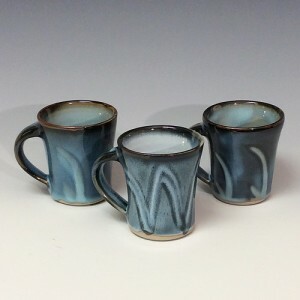 Let us choose one for you or call for current inventory.